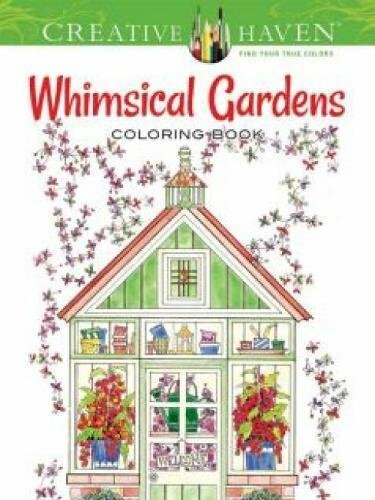 Creative Haven Whimsical Gardens Coloring Book by Alexandra Cowell rings in the gentler seasons of the year. This delightful coloring book zestfully conveys the glories of Mother Nature. Each page features bold bursts of blossoms and blooms rendered with pattern, shape and line. Jubilant illustrations dance right off the page and compel readers to respond by adding their own special touch of color. Heralding nature's bounty, Whimsical Gardens Coloring Book is a lovely invitation to indulge in the rites of spring—in full color, of course.